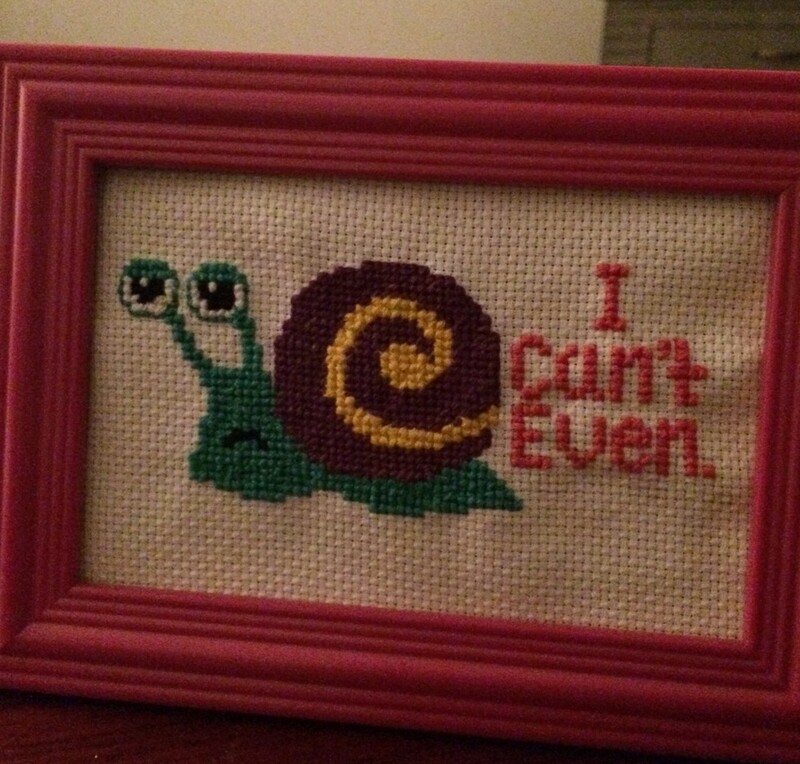 One time, I tried cross stitching. It didn’t work. Thankfully, the idea worked out for my friend Lauren, who I met when I was a second year in college (I went to a college that uses the term “second year” instead of sophomore…yes, we were pretentious). She seems to have figured out how to take all of the horrible thoughts that float through our heads and turn them into the most hilarious embroidered home decorations I’ve ever seen. Presented to you in SnapChat form. 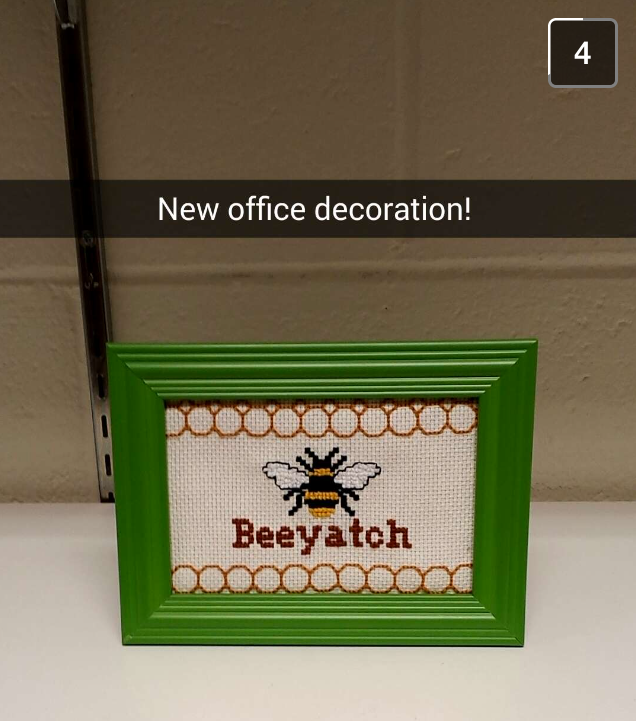 If you’d like to get a slightly (or possibly more than slightly) inappropriate framed cross stitch for your very own home, check out LAUREN’S ETSY SHOP. Please be warned: there’s more than a little foul language. Unsuitable for kids under 13…maybe 15. I’m not so good at judging what’s appropriate.